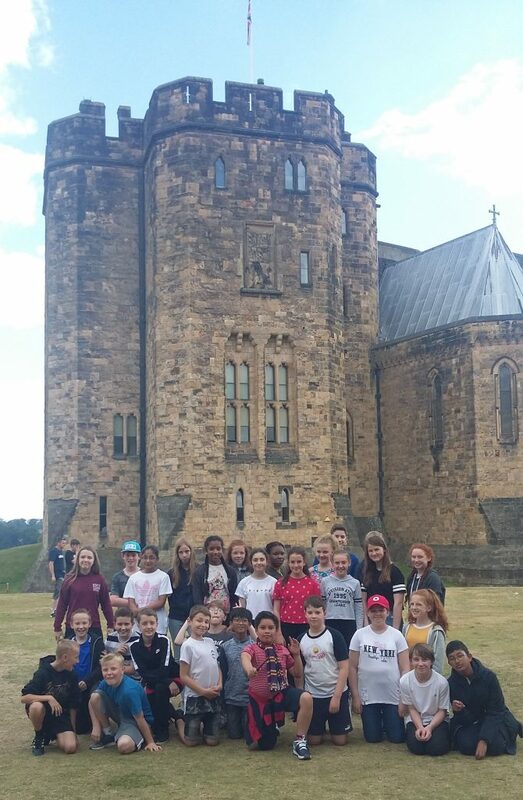 On the 19th of July 2018, a handful of students from Year 7 were chosen to go to Alnwick Castle. The first things we did was to see Niamh Hobson (7M) get dressed as a knight. We learnt a lot about this as she was first dressed into a woollen coat, called a jack, then some extra protective chainmail. One of the helmets that she tried on was shaped deliberately so that if a sword hit or swiped for their head it would deflect away from the head, face and shoulders. After that, we recreated a battle between the Scots and the English. We had a foam sword and plastic balls as our weapons against the opponents. 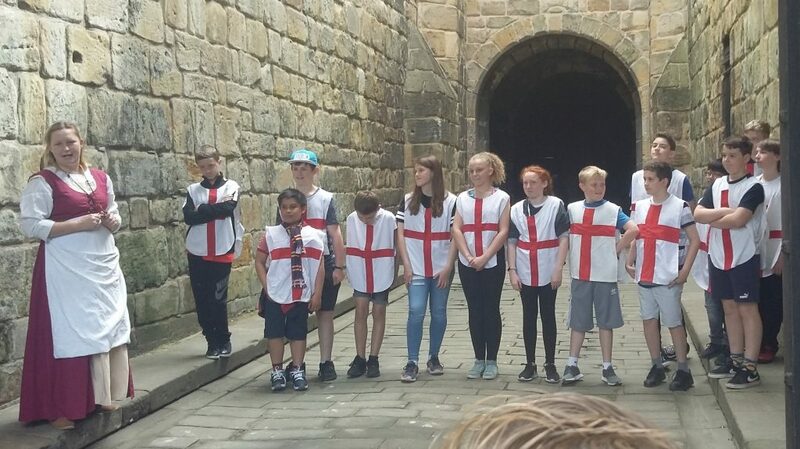 While doing this, we were taught about many of the defence systems used in castles. Next, we had lunch in the courtyard with our friends. 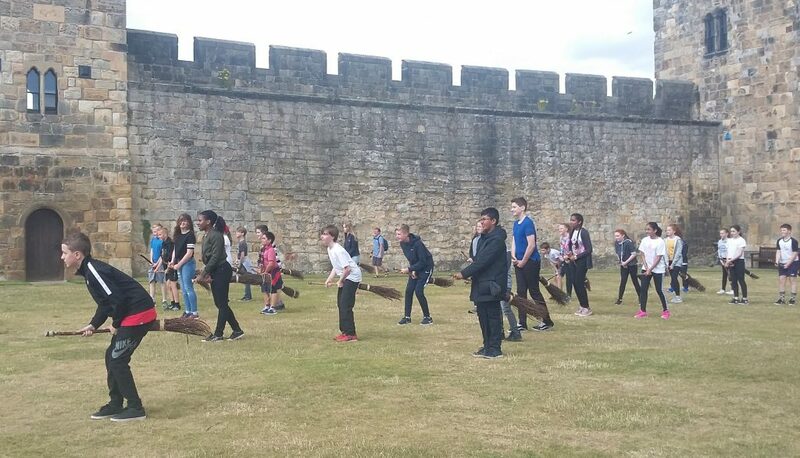 After lunch, we made our way to a Hogwarts-style broomstick lesson. Our teachers were William the Wizard and the Professor. Afterwards, we had some spare time so in true Year 7 fashion, we went rolling… …down a hill. After a group photo in front of the castle, we walked to the jester show, where they played with fire and some very medieval-looking orange toys on strings. Sadly, half way through the show we ran out of time and had to head back to school for the end of the day. On the minibus, driven by Mrs Mole, we had a great sing along to ‘He’s got the whole world in his hands’.